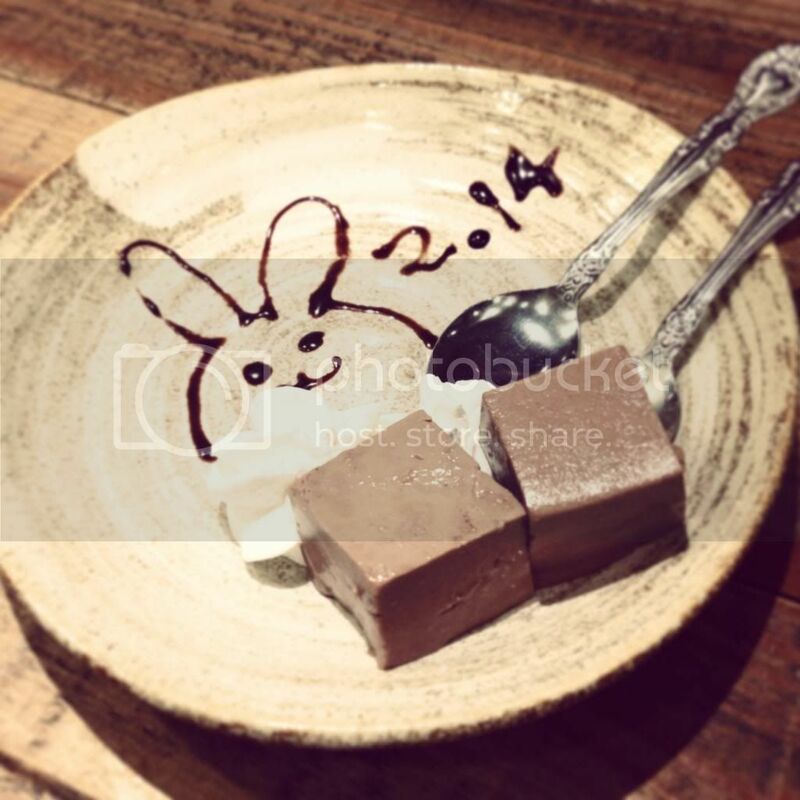 Headed down to 塚田農場 (Tsukada Noujou) for dinner after exam on 14th Feb. I usually refrain from going to izakaya coz they don't usually have separated areas for non smokers. 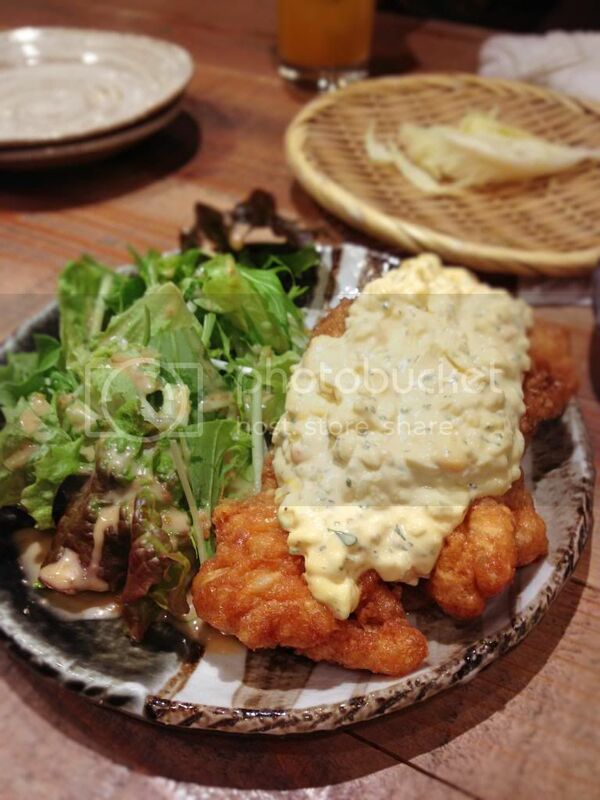 But this is one izakaya which i would be visiting again coz of the food. They have the usual izakaya fares, hot pots and girls in yukatas. 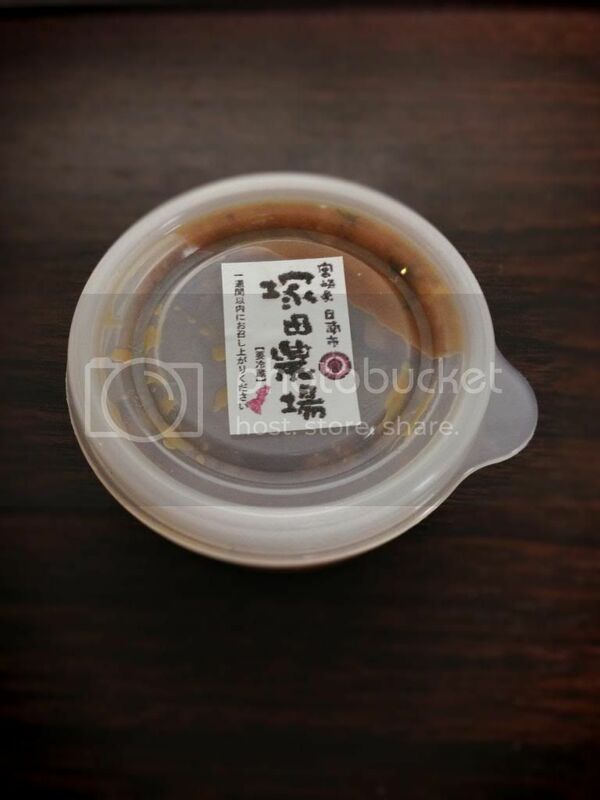 Before the meal, お通し (otooshi) is served. 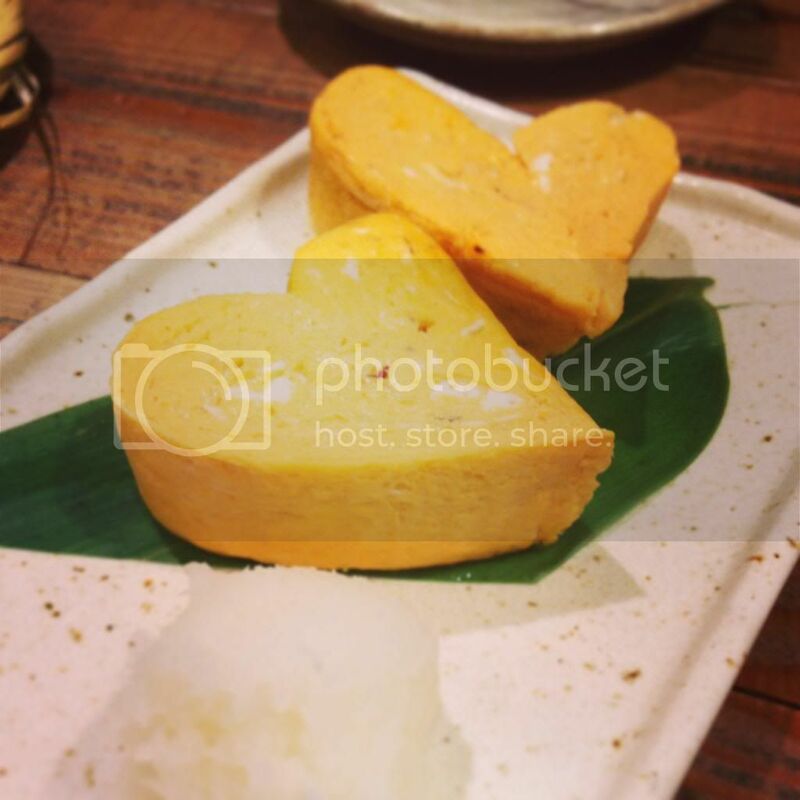 This is a side dish which is served without asking at a Japanese restaurant, regardless of your order. It's not free though. Somewhat like how Chinese restaurants put peanuts and wet tissues on your table and charge for it. But you can refuse it i suppose. 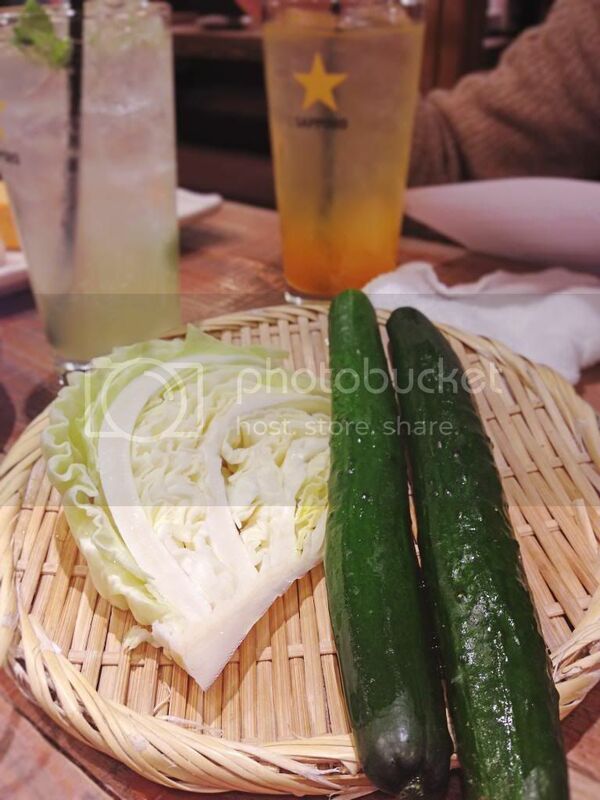 i love cucumbers with the spicy miso dip at the side of the table but koh san didn't like cucumbers so i had his. I even ordered another serving in the middle of the meal lol. This was one the thing we came here for!!! The super tasty, juicy, chewy karaage made from their very own free range chickens raised in their own farm! Is this how real chicken taste like? 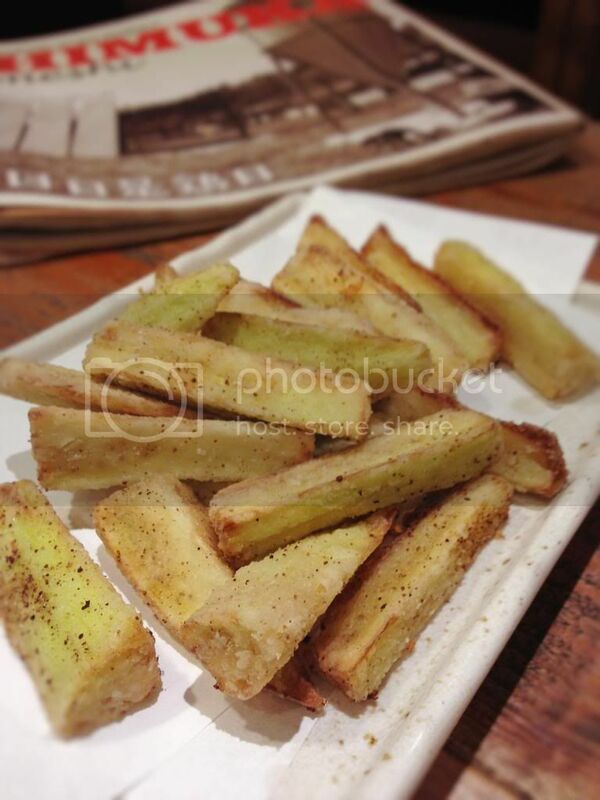 The other dish (no pic coz i forgot to take) was the sweet potato sticks. It was really good and fragrant and you must order these two if you ever come across this restaurant. And then there was this toast-like thing, except it wasn't bread but eggplant. I found it bit salty but still, I just couldn't stop picking up stick by stick and shoving into my mouth. Oh the high blood -_-! Felt like eating eggs that day so i ordered this. I didn't expect it to be so fluffy and good! I wonder whether they made this into a heart shape because it was valentine's day. I feel incomplete without rice so i had to get this. Ochazuke, except that it wasn't tea that's being poured. 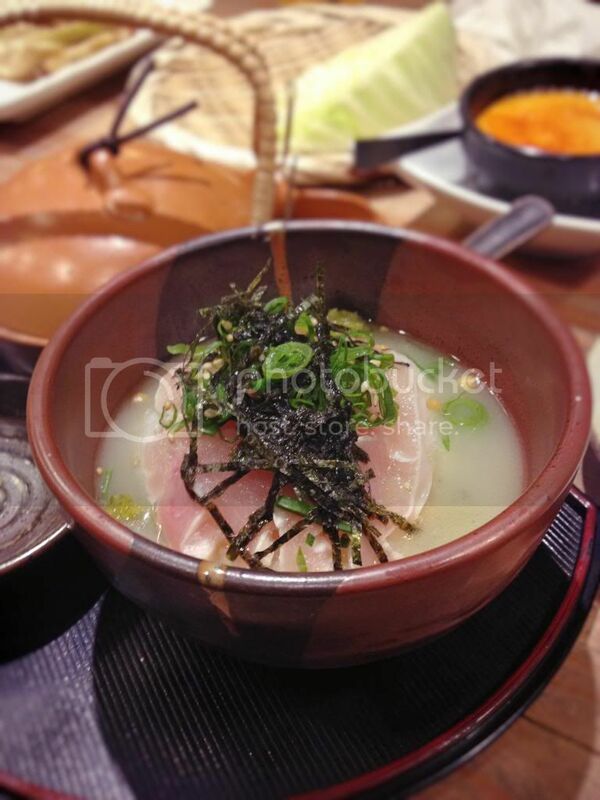 The soup broth was milky, mixed with a small heap of yuzu koshou in the slices of fish. So warm and savory. Definitely good on a cold day like this. 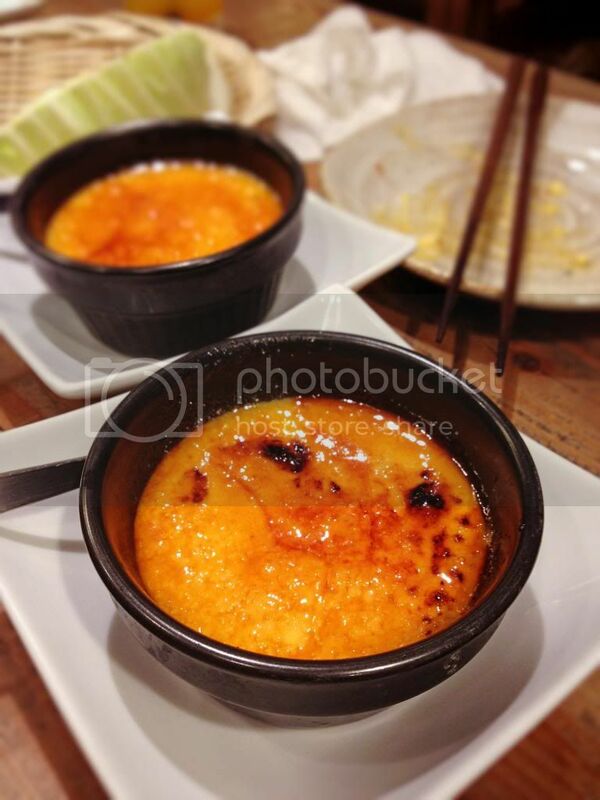 But as they say, you have a separate stomach for dessert, so here we ordered two milk puddings. The top layer was slightly burnt, crusty and semi-hard and once you break it, the rest was a silky soft pudding which was so heavenly good i wanted to get another cup. But at 450yen a cup... I stopped myself before the bill goes up even more. And then probably as a valentine's special, they gave this to us to "freshen our mouths". Were they expecting us to kiss? LOL. The chocolate was ok, nothing special. But the bunny(?) pic was so cute! I think I would have enjoyed the whole thing if i were with g here hmmm. 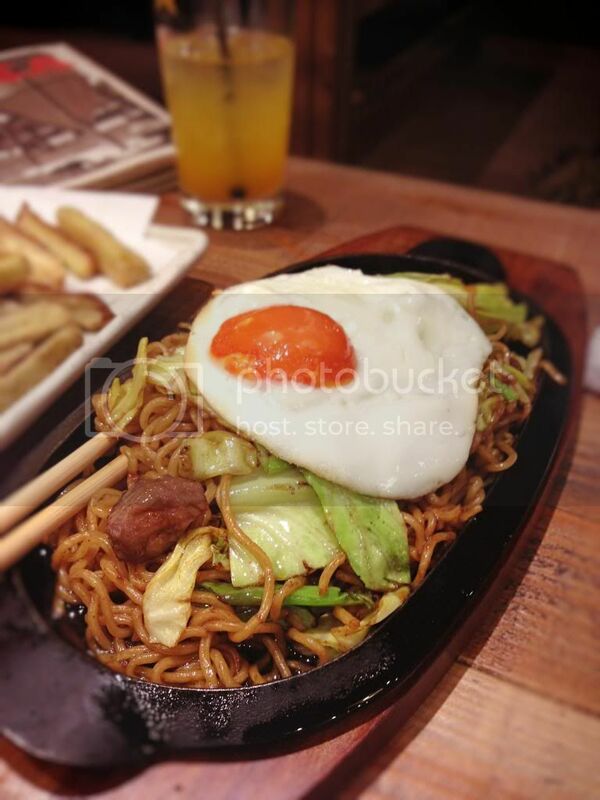 While i was googling for tsukada, i found out they opened a branch in Singapore last oct 2012. But it seems that it's more like a nabe place than an izakaya. But they don't even serve real tsukada chicken. Malaysian chicken!! Gonna try it the next time I go back to see how it is!